The sheet below shows another developed idea. Basic sketches have been used initially, followed by the manufacture of a model and testing. Client /potential customer input is emphasised on this design sheet, with the design finally being discounted. The model is shown in its component form and being tested, measuring a length of material. 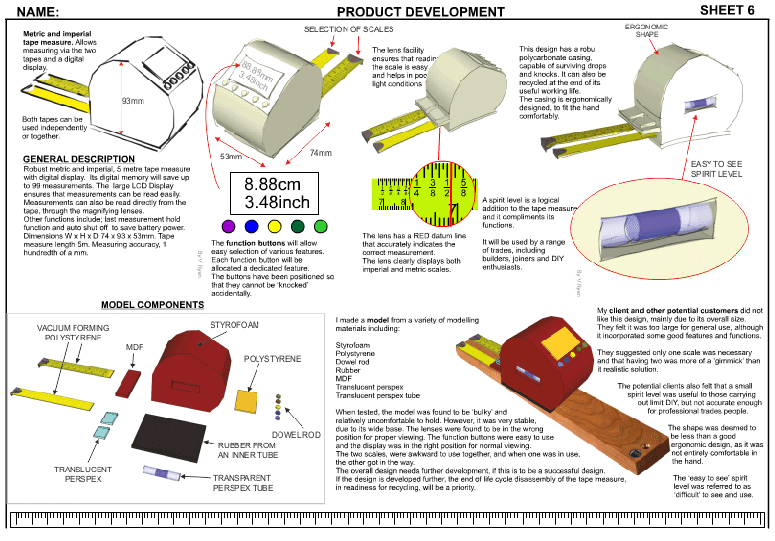 Model making and testing is key to the successful presentation of this design sheet. Notice how the 'rough' sketches and models are integrated on the same design sheet.